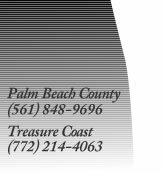 Tuxedo Gourmet —THE catering company of the Palm Beaches is "Simply the Best". We offer unique menu selections, customized services and exceptional quality at affordable prices. Since 1994 the company has put forward a perfect blend of kitchen savvy and client relations. Tuxedo Gourmet is unique for our stellar combination of great food with great service. Providing customized events to create a memorable function within your budget is the house specialty. Clients tend to think it is less expensive to plan the event themselves. WRONG! Tuxedo will not only take the headaches of event planning away from you and your staff, but we will provide a fabulous event at an affordable price. Just think, no time wasted on set up, no planning, no worries and no clean up. The only thing you need to make is a phone call. 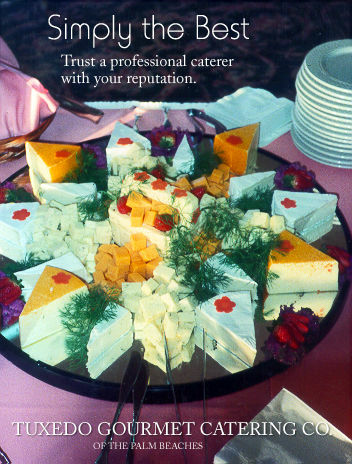 Tuxedo Gourmet Catering Co. offers hassle free, no worries catering serving your business and protecting your reputation.